CAPEX (Capital Expenditure) investment is very high in relationship to projected revenues, in comparison to optimising spare capacity on their existing network. Standard design and sizing networks are not appropriate for lower density communities. Operators give priority to their established urban customer base, by providing new 3G / 4G services which returns them higher revenues, increased usage and improved profitability. Market data of population density, usage volume, revenues and profitability are unreliable. Investment needed to extend and maintain networks to cover off-the-grid regions is fraught with risk. 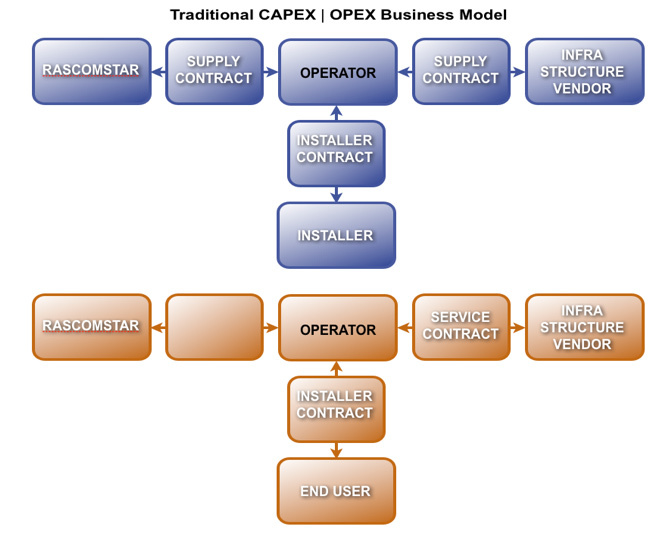 OPEX (Operational Expenditure) is high and recurring costs, such as Power Supply, Backhaul and Maintenance – might not be covered by the revenue generation. ARPU (Average Revenue per User) is traditionally lower than in urban areas – rural user $ spend per month is unknown. Accessibility to a primary power supply – most villages’ have no connection to the national electricity grid. Site back haul difficulties, due to large distances from existing network backbones, particularly as geographic terrain can cause problems. Expensive associated costs – Engineering, Transportation, Installation, Maintenance, Security. Infrastructure for support services do not exist – phone charging facilities, retail sales of pre-paid phone cards, collection and transferring monies etc. Availability of trained personnel to employ in rural locations. The provision of ‘voice connectivity’ and supporting messaging and broadband services is essential to improve the quality of life of the residents living in rural communities. Although market data is unreliable, estimates for the demand of telecommunication services demonstrate the huge untapped market potential of rural African. To provide coverage to these rural areas offers a licensed operator a competitive market advantage, delivering increased sales revenues and profitability, together with enhanced brand repute, as strong social links exist between urban and rural communities. 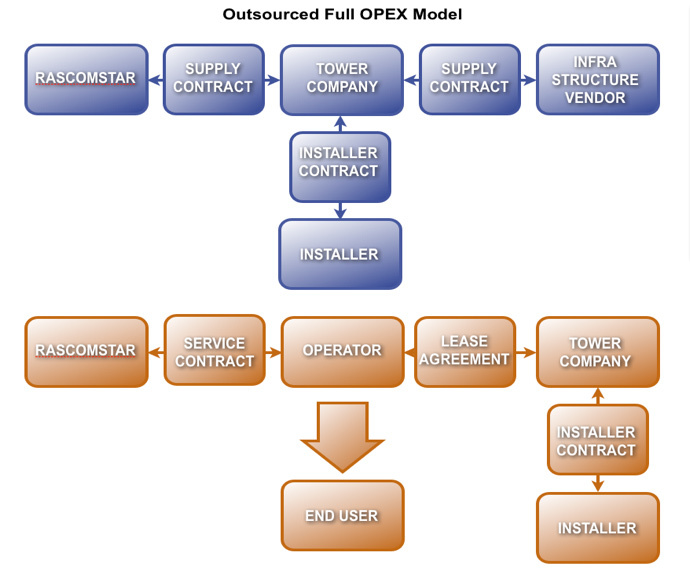 The trend today has shifted towards greater use of outsourcing, working in collaboration with other participants who are prepared to invest in establishing the rural network on a full OPEX basis and be remunerated through either joint ownership of the installation or a sharing of sales revenue or profits based on a predetermined leasing agreement. 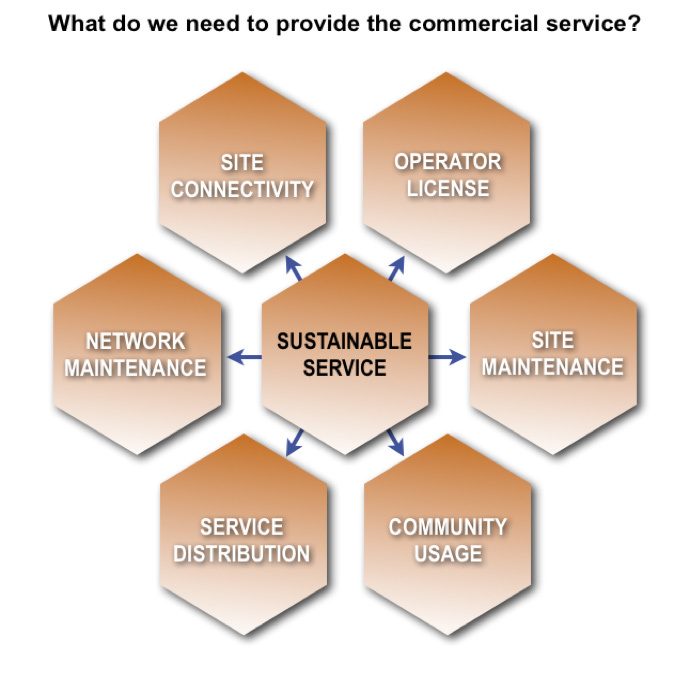 For an operator to feel confident in adopting this new outsourced approach they require one organisation to accept responsibility for the coordination and management of the multitude of contractors required to bring a new rural site onto their system infrastructure. It is important not to underestimate the complexities involved in delivering sustainable telecommunications to off-the-grid areas. 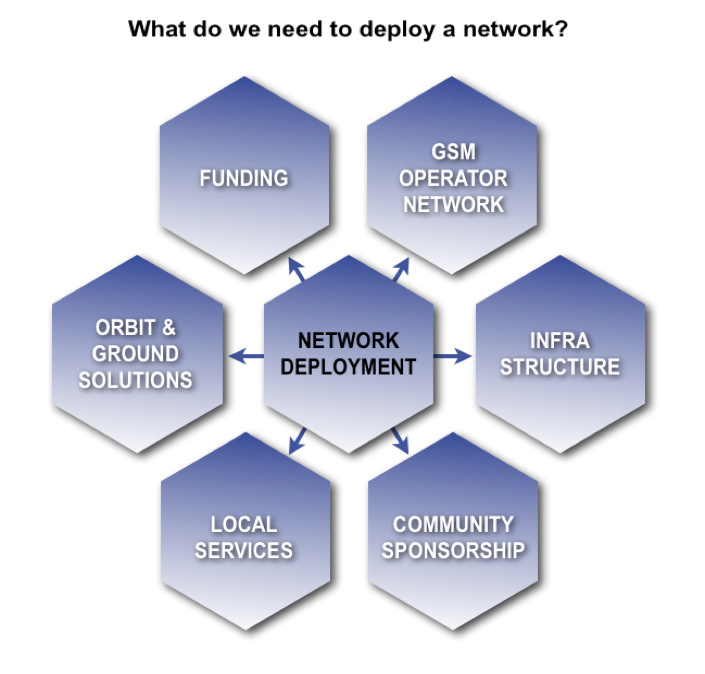 There is a need to create a sustainable ecosystem to support the deployment of GSM site. RascomStar is highly experienced in establishing and managing such outsourced operations. financial returns that justifies the risk. finance an installation becomes a non-starter. RascomStar, together with our technology partner Viasat, is the consistent link in the ecosystem providing the proven GSM technology and satellite backhauling infrastructure, working in collaboration with appointed infrastructure providers, for the manufacture, supply and installation of towers, solar panels and battery charging facilities and local service companies assume responsibility for the distribution, deployment and maintenance of equipment on-site. The final, yet equally important element in creating the ecosystem is the willing participation of local community leaders, in providing land with planning permission to site the installation. The nature of the contractual relationship between each participant can vary from one installation to another. The outsourcing agreement between parties can also vary, to include leasing arrangements, revenue or profit sharing or inter-connection agreements, sometimes a combination of each depending on the amount of investment and shared risk. RascomStar is highly experienced in building this type of ecosystem and establishing the necessary collaborative working procedures, to facilitate the deployment of each installation – the sourcing, management and delivery of a full end-to-end service suitable for rural communities that can be delivered at an affordably price. We need to estimate the volume of user traffic to ensure the site can deliver the sales revenue and profitability to become self-sustaining. To achieve this correctly it is necessary to gain insight and knowledge of the practical, day-to-day needs of the local community and predict their likely usage patterns. Without the ecosystem being established and maintained the viability of the system become less sustainable.